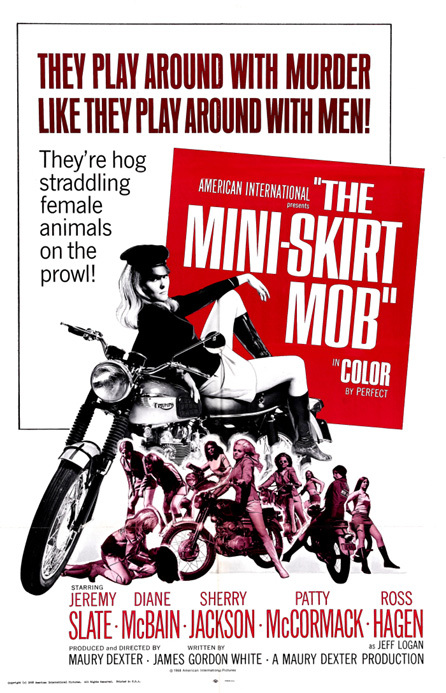 The Mini Skirt Mob (1968, USA) is a Biker film directed by Maury Dexter. They Play Around With Murder Like They Play Around With Men! They're hog straddling female animals on the prowl! This page was last modified on 20 June 2018, at 19:07.